The French Press is a style of brewing coffee ideal for people who enjoy the art of making coffee as much as the full-bodied, flavorful beverage itself. 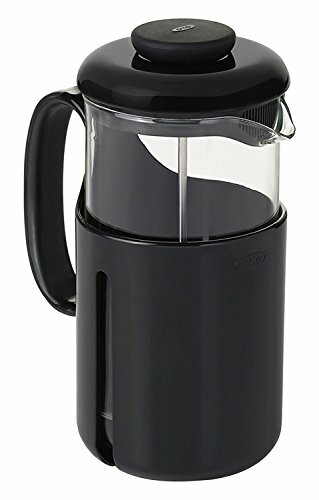 The OXO Venture French Press allows you to craft a consistently delicious brew in minutes. The durable, clear Tritan carafe is durable, shatter resistant, and perfect for taking on the go while traveling or camping. The press has a non-slip knob and comfortable handle for easy pressing and pouring, filters coffee for a delicious brew, and comes apart for easy cleaning. A secondary filter on the spout adds another level of filtration for the perfect cup.